ESPN Radio Weekday Lineup Moves: The Right Time with Bomani Jones to 4 - 7 p.m., Jalen & Jacoby Launches as National ESPN Radio Primetime Show - ESPN Press Room U.S.
ESPN Radio will debut an enhanced weekday lineup on Monday, Sept. 28, with current show The Right Time with Bomani Jones moving to 4 – 7 p.m. ET and new program Jalen & Jacoby launching in the 7 – 9 p.m. slot. The Right Time with Bomani Jones, which previously aired 9-11 p.m., debuted in March 2015 and showcases Jones’ provocative opinions, relevant guests and listener interaction while discussing topical issues. The show is broadcast from Miami. Jalen & Jacoby, hosted by ESPN NBA analyst Jalen Rose and Grantland writer, podcaster and senior producer David Jacoby, will launch as a national ESPN Radio show after premiering in 2011 as a Grantland podcast and will broadcast out of the Grantland studio in Los Angeles. The show highlights the chemistry between Rose and Jacoby as they break down the latest news in sports and pop culture with humor, intelligence and perspective that only a former NBA star and long-time ESPN producer can provide. Jones has contributed to ESPN as a writer and commentator for close to a decade. He became a fulltime co-host of Highly Questionable, televised on ESPN weekdays at 4:30 p.m., in May 2013, and had previously appeared regularly on ESPN Radio’s The Dan Le Batard Show. Jones will continue to co-host Highly Questionable. Rose, a former NBA star who joined ESPN in 2007, is a regular contributor to the network’s NBA coverage and is a studio analyst on the Kia NBA Countdown show. He will continue in his role on Countdown. Jacoby joined ESPN in 1999 as an intern, then went on to create and produce several ESPN shows, including SportsNation, and has been responsible for developing and producing all of Grantland’s audio and video content since the launch of the site in 2011. All programs will be available nationally on ESPN Radio, espnradio.com, the ESPN app, SiriusXM, Apple iTunes, Slacker Radio and TuneIn. ESPN Radio, which launched January 1, 1992, provides more than 9,000 hours of talk and event content annually, reaching 20 million listeners a week on 500 nationwide stations, including more than 375 full-time affiliates and clearance in the top 25 markets. ESPN owns and/or operates stations in New York, Los Angeles, and Chicago. ESPN Radio programming is also available on SiriusXM and via digital distributors iTunes Radio, Slacker Radio and TuneIn. ESPN Audio listeners logged more than 7.8 billion streaming minutes in 2014 and 194 million session starts, with an average time spent listening of more than 40 minutes. 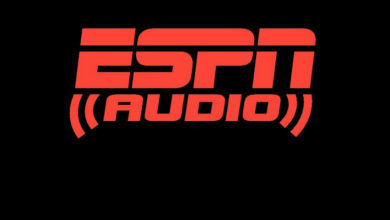 ESPN Audio launched its first podcast in 2005, and in 2014 ESPN Audio podcasts were downloaded 302 million times, an increase of 51 percent compared to the previous year.